Ukrainian hetman-émigré | See you in Ukraine! Pylyp Orlyk (1672–1742) was a hetman of Ukraine, an outstanding state and political figure, humanist and democrat, a true patriot and, most importantly, the author of the first Ukrainian Constitution (1710), which made it into history as “The Constitution of the Rights and Freedoms of the Zaporizhya Host”. The future hetman was born in Lithuania. 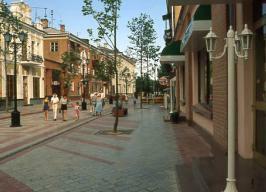 Once, representatives of his family traveled from the Czech Kingdom and some time later found themselves in Lithuania. Pylyp Orlyk descended from Czech nobility on his father’s side and his mother was from the Orthodox family of the Malakhovskys. However, the main thing is not his origin, but whom he became. For many years the name of Pylyp Orlyk was not widely known to the Ukrainian people, while the Ukrainian emigrant’s personality and works were known to many abroad. For decades his works were published in Poland, Sweden, France, Germany, and Canada, but Ukrainian readers had no access to them. Even his biography remained unknown. However, during this entire forgotten time, in his homeland he was a hetman engaged in the impetuous activity the hetmanate. Even in emigration, he fought for Ukraine’s independence. His tireless and persistent work preserved traditions and relations with Europe for us. Moreover, Orlyk’s Constitution was not only a monument of public-political thought of Ukraine and until 1714, it was a functional normative document on Right Bank Ukraine. The document envisaged the establishment of national sovereignty, the definition of the state borders, ensuring the democratic rights of man, and the recognition of the inviolability of three constituent factors of a lawful society: the legislative, executive and judicial powers. The Constitution played an extraordinary role not only in the activity of Pylyp Orlyk, but in the activity of our entire state as well. Pylyp Orlyk is an outstanding man. Though in emigration for 33 years, he never stopped thinking about Ukraine’s independence. Being abroad for so many years, Orlyk had to resolve those issues which concerned Ukraine, and fight for the rights of its citizens and their interests. But despite all the difficulties that stood in his way, he became a true fighter for the great idea of Ukraine’s independence, the author of the first Ukrainian Constitution and an outstanding hetman of Ukraine. Nevertheless, the fame of Orlyk’s family did not end with Pylyp. He passed all his best qualities on to his son. 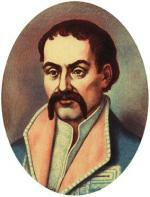 Hryhor Orlyk was a Ukrainian political figure, a French diplomat, a general lieutenant and a French count. He was a worthy descendant of his outstanding father, Pylyp Orlyk.